Marion wearing her Hermès Hapi 3MM bracelet. 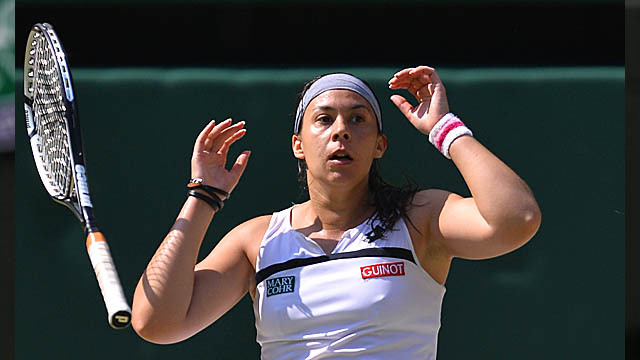 I couldn’t help noticing the thin strips of black leather on Marion Bartoli’s wrist as she played in the Wimbledon finals on Saturday. They looked very familiar to me. On closer inspection I realized she was wearing an Hermès Hapi 3MM bracelet in black leather with palladium hardware. I bought the same one last fall and it is one of my favorite accessories! Marion realizing she just won Wimbledon. 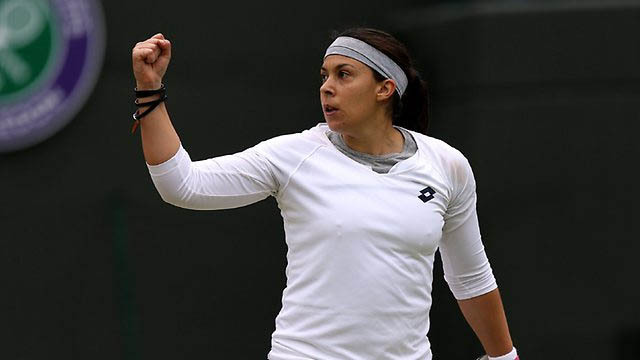 I love that she is out there on the court, playing hard, sweating all over the place, winning Wimbledon, meanwhile wearing a leather bracelet on one wrist and a pearl bracelet on the other. I tend to baby my Hapi 3MM but after seeing Marion I’m thinking it’s time to give that policy a review. 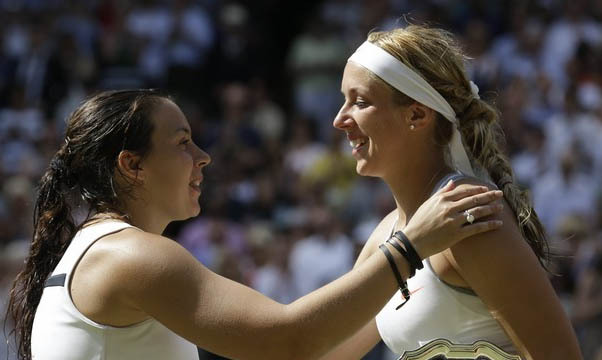 Marion with her opponent Sabine Lisicki at the awards ceremony. Photo by AP/Anja Niedringhaus. For me, this is a great (and far less expensive) alternative to the Hermès Collier de Chien cuff. How I style my Hapi 3MM in cooler weather. Marion with her Wimbledon trophy. I love that she is wearing a pearl bracelet on the other wrist! Do you baby your more precious accessories or wear them no matter what? I think she is doing the right thing - wearing and enjoying it. 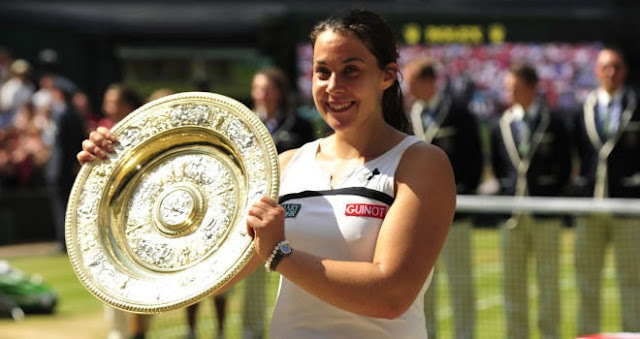 That she won Wimbledon wearing it, might mean it will stay her lucky charm? For jewelry, I'm not concerned with solid metal or the harder precious stones, so I just baby my favorite Printemps necklace, since it is a rainbow of plastic beads and flowers on a delicate chain. I totally missed the women's final and as you can imagine the UK press were full of the men's so didn't see this detail but did notice her pearl bracelet - just lovely! I wear my 'good' stuff more and more. I used to be the worst for babying my things, everything, clothes, shoes, bags, jewels, and made the decision to change and not to keep things away 'only for best'. I'm now a much happier person :-) Enjoy your lovely Hapi bracelet! Thank you for noticing these fine details! I missed them in all the hoopla over the sexist comments about her. Loved this about her bracelet. I watched the match and she played amazing. Got to check these out now..
Just catching up on my blog reading! I've been away. Of course, she'll probably get a free replacement, while you'll have to oay for yours!